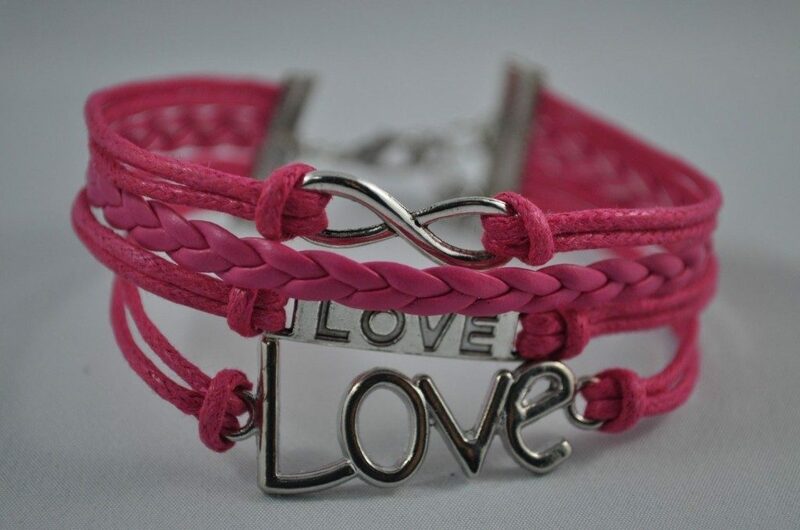 Pink Love-Infinity Leather Rope Bracelet Only $2.99 + FREE Shipping! You are here: Home / Great Deals / Amazon Deals / Pink Love-Infinity Leather Rope Bracelet Only $2.99 + FREE Shipping! I am loving these leather rope bracelets, and I totally want this one because it’s PINK! Get this Pink Love-Infinity Leather Rope Bracelet for just $2.99 with FREE shipping! I’m loving the infinity symbol, too. I’m kind obsessed with infinity jewelry these days ! I think these bracelets are so trendy, and you can’t beat the price!